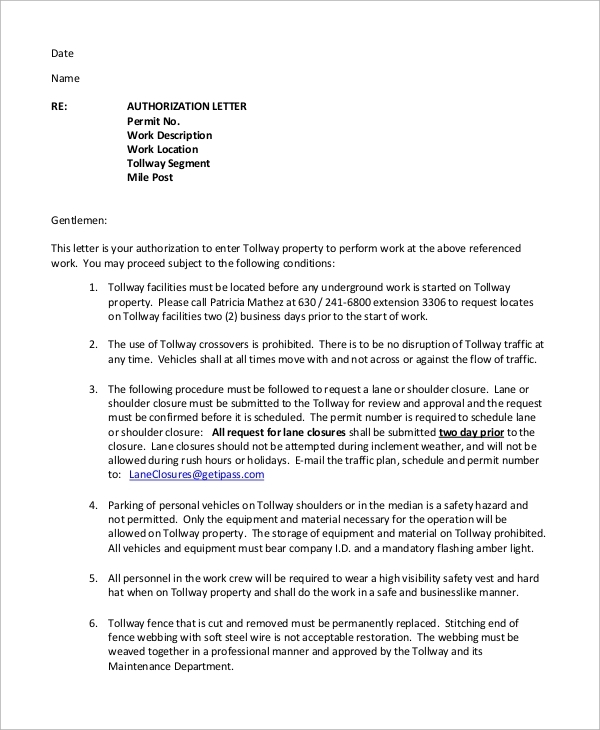 Work Authorization Letter Sample is an official paper which is issued by an authority when an application is made by individuals who are of foreign origin to seek employment. The work permit covering letter varies as per the resident status of the applicant. Accordingly, the appropriate format should be used. Medical Authorization letter samples is however for a particular reason and grants permission for medical treatment. 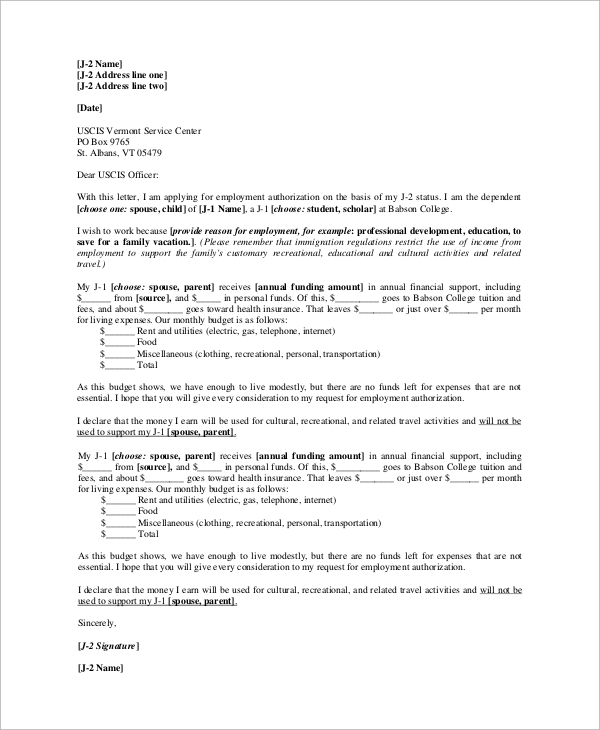 Individuals going through severe economic hardship due to unavoidable circumstances should use this letter to apply for a work letter of authorization permit after fulfilling the basic requirements. 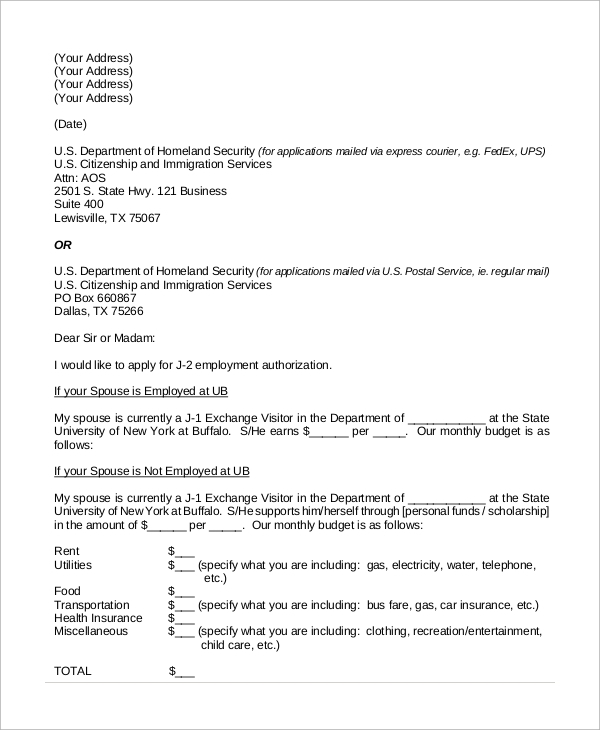 To apply for an employment authorization document, an individual falling under a certain category should use this letter to receive permission to work with any employer in the country. 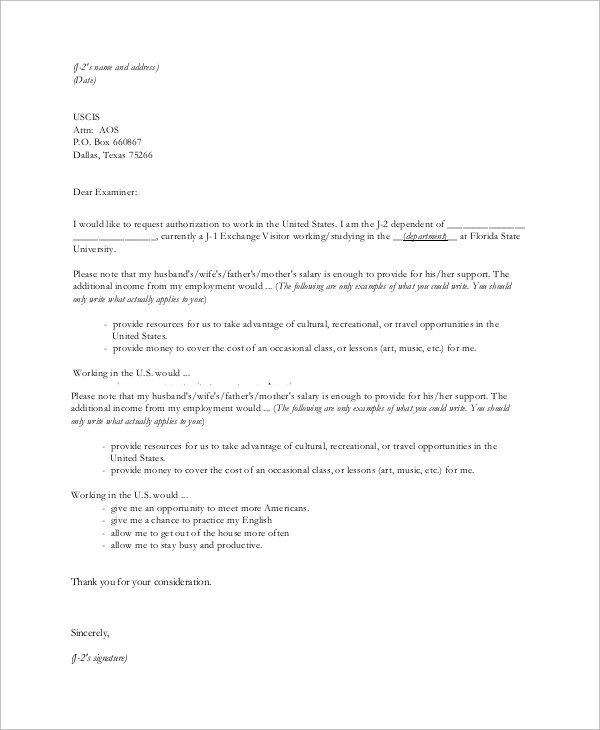 Work authorization letter samples concerns individuals of foreign origin seeking authorization to take up a job while residing in the country. Even such applicants have different categories of resident status, and various letters are made available for this purpose. What are the uses of these Letters? 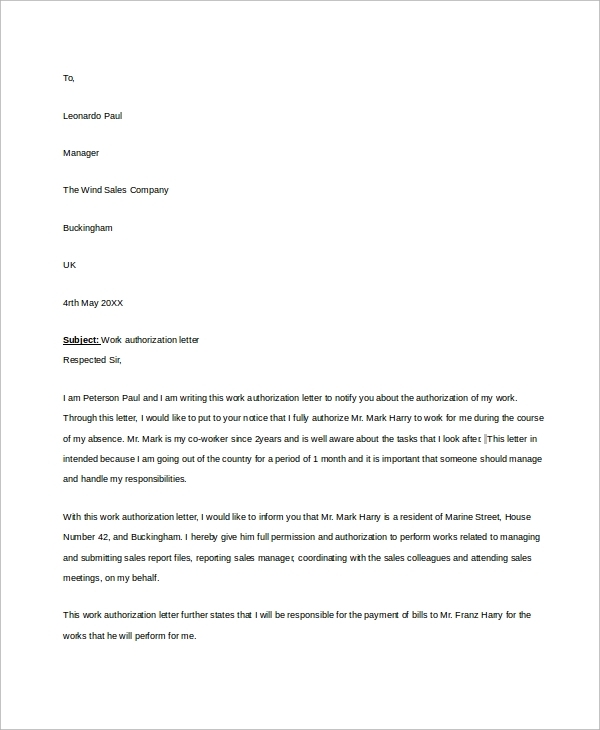 The importance of these sample authorization letters cannot be put to debate, as it has been proved without a doubt its value for the issuer and user. A lot of thought process has gone into their creation and implementation. Who can use these Letters? When can these Letters be used? 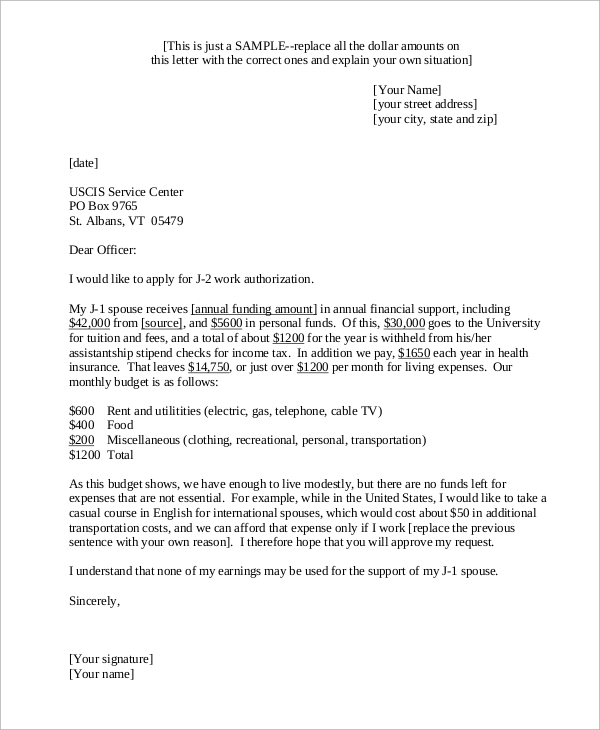 A person of a particular resident status under severe economic pressure can use this when he/she has no further options or even when an existing permit is about to expire. Employment Card Renewal can be another reason on when to use these letters.You may also see work letters. 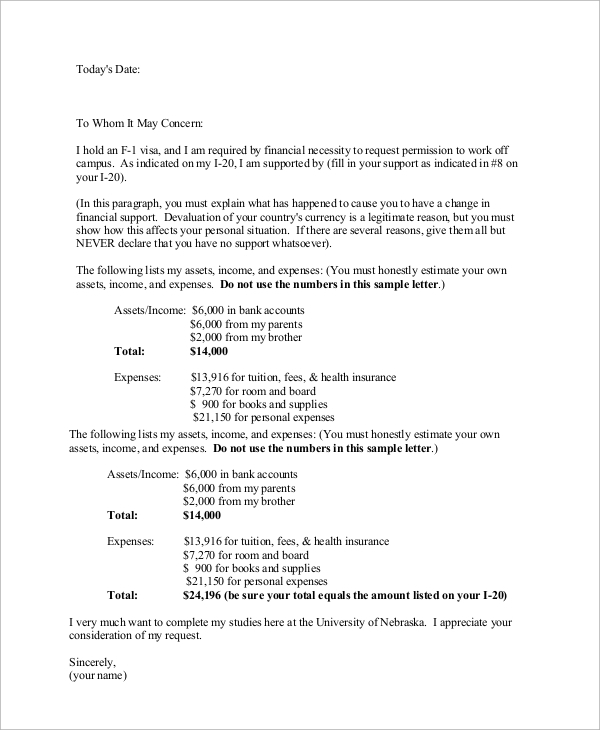 Work Authorization Letter Sample has a two-pronged advantage and benefits for both the issuer and user as valid information relevant to both is given. As already mentioned, applicants should use the appropriate letter based on their status. medical authorization letter samples is a critically valuable document, as it extends authority to the parents or legal guardians to extend treatment to a child.